The UFC 219 main event brings together the two most important names in women’s MMA, as Holly Holm battles Cris Cyborg this Saturday night. However, the real question is what happens once the dust is settled. Regardless of which woman lays claim to the UFC Women's Featherweight Championship, the future is murky at best for the two heaviest women’s divisions in the UFC. The feeling heading into UFC 219 is akin to that which welcomed Holm before her UFC 193 fight against Ronda Rousey. It was that night that she would stop the woman that many considered the most dangerous female competitor to ever step into the cage. She’s facing a similar situation at UFC 219 against Cyborg, an athlete known for wrecking one opponent after another. That’s where the similarities end, however, as Cyborg is a fighter with a different range of skills than Rousey. The fight between Holm and Cyborg is expected to be a striking affair, as both women are known as top athletes on the feet. 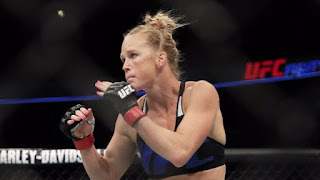 Holm is mostly a counter puncher and thrives when she can catch her opponent rushing in, or can use one of her setups to mask her diverse strikes. 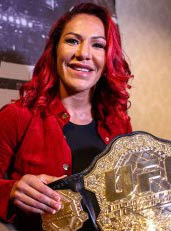 Cyborg frequently overwhelms her opponents, and while it may look like a bruising style, she’s become more calculated in her approach as of late. It will be interesting to see how this fight goes over twenty-five minutes of action. But once the fight is done, there are a lot of questions left for the featherweight and bantamweight divisions. Amanda Nunes reigns as the 135-pound champion, and she’s in firm control of the division. Holm hasn’t earned a quality win in the division since defeating Rousey in 2015 and is well outside of the title picture. Julianna Peña is currently out of action due to pregnancy. That leaves Raquel Pennington as the sole potential contender and interesting matchup for the current champion. But regardless, the future of the division is wide open without any top notch contenders. The featherweight division is in an even worse position, as the UFC doesn’t even acknowledge rankings for the weight class. As Megan Anderson continues to struggle with reported visa issues that keep her out of the UFC, Cyborg is essentially a champion without a division. She’s an individual that has star power, especially in her native Brazil, but without any real competition, her value to the organization is limited. On Saturday night, the UFC presents a compelling main event with two of the most important names in women’s mixed martial arts. Although viewers will likely enjoy the action in that fight, there’s no telling what will come next for the women’s bantamweight and featherweight divisions. And that's disappointing.